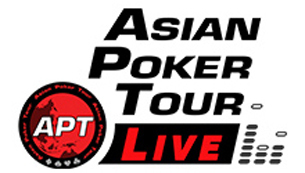 Asian Poker Tour Limited owns and operates (through related parties and/or licensees) the Asian Poker Tour. This policy applies to all personal information collected from You in this Website and in the provision of Services herein. We care about your privacy and we would like to advise you about our policies and practices which we have adopted to protect your privacy so that you can understand how we handle the personal information you provide to us. We may use your personal information for such things as to fulfill your requests, serve you better, and identify what communications you would like to get from us and our affiliates. We comply with opt-out requests. We adopt careful procedures to protect your personal information, and use the highest levels of security in coordination with our payment services provider, to protect credit card data you give us when you utilize our Service/s. We collect personal information, such as names, addresses, e-mail addresses, mobile phone numbers , activity information, demographic information (age, gender, etc. ), details of occupations and the like, as well as other information which assists us in conducting our business, meeting the needs of our customers, marketing our services and meeting our legal obligations. You may choose to provide us with your personal information directly such as when you contact us, register your details on our Website or when entering any of the APT Events. You may also choose to provide us with your personal information via our venues or other third parties. We may also obtain contact lists, demographic, and other personal information from other sources such as from our customers, venues, business associates and other third parties. We do ask for age information so that we can provide age-relevant content and fulfill certain legal obligations. We collect and use your personal information to notify you of upcoming APT events, poker news, APT Event results, event reminders, to e-mail you with updates and news, to respond to your questions or comments, to register you for certain features, to provide personalised content, information, and/or to send out brochures, coupons, samples, offers and other information on us or our clients, third parties or our clients’ products or services. We may also use your personal information to conduct our business and assist our clients to conduct their business, help us and our clients manage and enhance their products and services, create personal profiles in our databases, analyse, report on and aggregate your personal information for various purposes such as benchmarking, market research and product and service analysis and to comply with our legal obligations. From time to time, we or our contractors or service providers may disclose personal information about you to third parties such as our related or associated companies, marketing and advertising agencies, our clients, our venues, our technology and administrative service providers and outsourcing contractors, other companies and individuals who assist us with providing products and services or who perform functions on our behalf, third parties with whom we have a business relationship, police, courts, tribunals and other regulatory authorities and anyone else to whom you authorise us to disclose it. We provide you with an “opt-out” option at any time you wish to cease receiving e-mail, SMS or other communication from us. As is customary in many businesses, we may purchase and use opt-in e-mail lists to contact potential customers. We will honour opt-out requests and ask those providing lists to give us assurances that e-mail contact information is provided only for those consumers who have expressed a desire to receive offers and information by e-mail. Some portions of our website and e-mail communications may contain electronic images called Web beacons, sometimes known as one pixel GIFs, clear GIFs or pixel tags. On the Website, these allow us to count visitors who have viewed our page. In promotional e-mail messages/newsletters they allow us to count how many subscribers have read them. Web beacons allow us to develop statistical information about the activities and features that most interest our consumers for the purpose of providing more personalised content. They are not used to access personally identifiable information without your consent. We care about the safety and security of your transactions. We use SSL (Secure Sockets Layer) to communicate with your browser software when you order from us online and thereby provide us with credit card or similar information. SSL is the industry standard security protocol, which makes it extremely difficult for anyone else to intercept your credit card / transaction and order information that you send us when you submit your online order. All financial transactions are processed using the highest levels of security through our designated payment services provider. We have instituted safeguards to check that our internal procedures to protect your personal information meet high policy standards. We also use our best efforts to be sure that third parties who work with us as our agents to make this site and its contents available to you and utilise your personal information that they must access in order to serve our site and our visitors, agree to same degree of diligence in the protection of your personal information.